Located in Chandler, with the perfect balance of privacy and services, living at The Park offers a variety of entertainment, classes and events just steps outside your door. Join friends for a glass of wine, grab a picnic box on the go from the Victory Bistro & Wine Bar or enjoy a four-course meal prepared by our resident chef in The Monticello dining room. Stay fit with a personal trainer while building your individualized wellness plan in the fitness center. Opening new doors to fresh adventures is an important part of living. Enjoy worry-free travel, as your home remains safe and secure. With so many recreational and social options, The Park at Copper Creek can become your hub of enrichment. Join us at The Park… make new friends, open a new chapter, and come home to a life of freedom and attentiveness. Let us provide the carefree lifestyle you have earned. For those who appreciate beautifully-appointed and purposeful design coupled with luxurious amenities, The Park is designed for your lifestyle. However you decide to spend your days, whether in privacy or social engagement this is the perfect setting. Urban sophistication meets extraordinary experiences.. 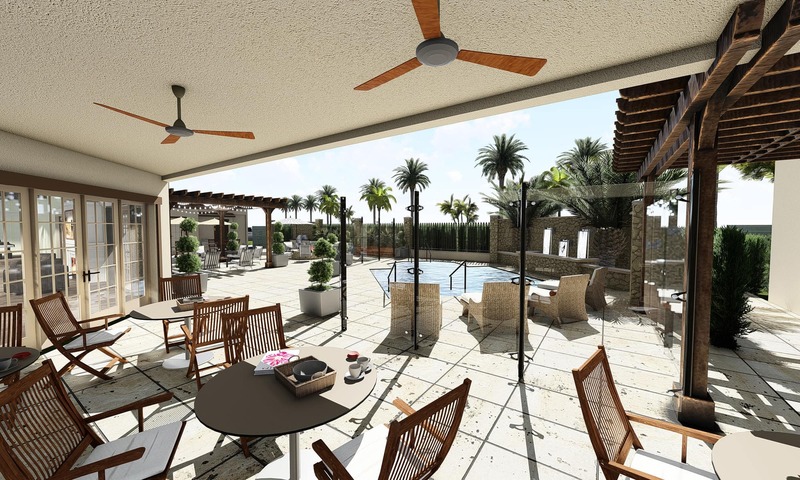 The Park at Copper Creek is nestled among some of the finest attractions in the Chandler area. Whether you’re an avid hiker, shopper, casino lover or a frequent visitor to the golf course, you’ll be surrounded by entertainment. Premier golfing at the Whirlwind Golf Club at Wild Horse Pass or the San Marcos Golf courses • Shopping at the Chandler Fashion Center or Phoenix Premium Outlets • Wild Horse Pass and Lone Butte Casinos • Hiking in the majestic Superstition Mountains is just a bus ride away!